Charleston, South Carolina faces an opioid and heroin crises that, save for Berkeley County, is spiraling exponentially. Though various educational and lawful efforts are continually implemented, and the LEON program has shown success, on all fronts the battles to contain these issues are ongoing. For yourself, your friends and/or your family, we advise that you continue to be aware of your community’s substance issues, and suggest that you join in Charleston’s efforts to curb drug abuse. Awareness and communication, as ever, is imperative to any such effort. If you live in Charleston, and have fallen victim to substance abuse don’t hesitate to seek treatment. There are enormous resources in at your disposal. Charleston is South Carolina’s largest and oldest city. It is the county seat of Charleston County, and its 2016 residency was estimated at 134,385. The city is frequently lauded, and accolades have included: America’s Most Friendly City by both Travel + Leisure and Condé Nast Traveler, the World’s Best City by Travel and Leisure, and The Most Polite and Hospitable City in America by Southern Living Magazine. Charleston’s place in history is secure. The first full battle of The Civil War occurred on April 12, 1861, when General Beauregard commanded shore batteries to fire on the US Army-held Fort Sumter in Charleston harbor. Over a century and a half later, on June 17, 2015, Charleston found itself as a flashpoint in the national gun control debate when 21-year-old Dylann Roof entered the Emanuel African Methodist Episcopal Church and fatally shot nine people. Outrage was nationwide; the tragedy in part led to the city again becoming a focal point of American attention. Charleston, South Carolina, is a major tourist destination. It’s economy is strong. In June of 2017, the city’s average home price was $351,186. Charleston’s culture is diverse, blending its southern personality with English, French, and West African elements. The downtown area has become a wealth of art, music, cuisine, and fashion. Perhaps (in part) because of its large size, Charleston’s crime rate is above the national average in all capacities. Of every 100,000 residents, the city averages 11 murders annually, to the national average of 4.9. Similarly, Charleston averages 30 rapes per 100,000 residents, while the national average is 24.7. Robbery is 162 vs. 133.4 nationally. Assault is 195 vs. 160.5 nationally. Burglary thefts, auto thefts, and arson are similarly measured. Amtrak and bus provide the city’s substantial mass transportation. Interstate traffic is served by its highways. Following a national trend, the ease of access in and out of South Carolina’s main city creates a hub for ambitious DTOs (Drug Trafficking Organizations). Charleston is considered by the U.S. Department of Justice as key city of the Atlanta-Carolinas HIDTA (High Intensity Drug Trafficking Area). 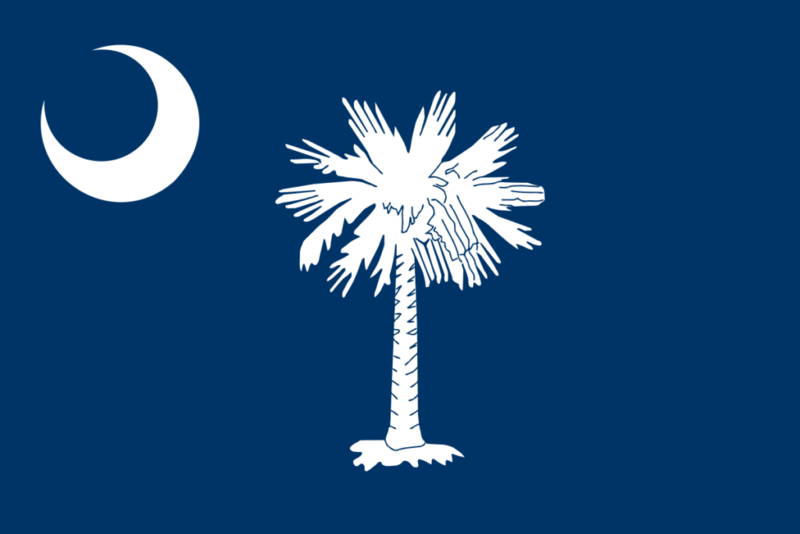 South Carolina shares a similar drug culture with much of the state. Pot and alcohol are most popular with young people, college-aged and below. For those older, prescription opiates are the city’s largest problem, followed very closely behind by heroin, and the cocaine. Treatment admissions for both typically shows poly-use, or more than one drug in the system at the time of admittance. Heroin use is growing in conjunction with a near-epidemic usage in the rest of the state, especially as misuse of painkillers fails, after time, to deliver its desired effect on the part of the user. As ever, any examination of Charleston’s drug problem, however, should include statewide statistics for perspective. Let us begin here with recent statistics for abuse and death rates. Meth and other psychostimulant-class drugs were involved in 10% of all drug overdose deaths, either alone (directly responsible) in combination with other drugs or drug classes. In an effort to improve efforts to combat prescription drug abuse, the South Carolina Overdose Prevention Act was signed to law in 2015. From there, the LEON program was created. South Carolina instituted the LEON Program, that has been highly effective in combating heroin overdoses. LEON stands for the Law Enforcement Officer Naloxone program, which has trained and equipped over 3100 law enforcement officials to carry and administer the heroin antidote. In 2016, 87 lives have been saved by LEON. As seen above, opioid deaths mirror the rest of the country in its epidemic rate. According to the CDC (Center for Disease Control), opioids of all types (including heroin) were responsible for more than 33,000 drug deaths in 2015 alone, with nearly half of those fatalities involving a prescription opioid. City-wide statistics closely mirror that of the state: Opioids are Charleston’s greatest drug scourge. Many local schools, in an enforced drug-education program, require the students to watch the short DEA film, Chasing the Dragon along with their parents. The documentary explores first-person accounts of opioid addicts and their families, along with the widespread harm caused by the drug class. 30 people died in Charleston from heroin overdoses (only) in 2014, 37 in 2015, and 43 in 2016. 2017 has surpassed 50, and the problem shows no sign of slowing. These figures year-to-year are approximately 15% higher than the national average. 11 people died in 2014 from opioid-only overdoses in Charleston’s largest neighborhood, 23 in 2015, 40 in 2016, and over 50 in 2017. Collectively, these figures represent 182% of the national average. 27 people died in 2014 from opioid-only overdoses in Charleston’s Berkeley County, and 13 died in 2015 – less than half. Numbers for subsequent years are inconsistent online, and yet in this county are said to be on a decline. Such a trend portends the efficacy of various implemented programs as mentioned earlier. 80% of all heroin users are said to have begun their habit due to first abusing prescription opioids, and then looking for something stronger. If you or someone you know is having an issue as elucidated above, it’s time to seek help. Treatment, in this regard, is comprised of several stages, of which “pre-intake” is the first. If like many users you cannot answer such goal-related questions, try this: “Where do I want to be tomorrow?” If your answer to this question is dark, or bleak, and related to depression, it’s time to seek treatment. Similarly, if your answer is something positive, the very fact that you have come to this point and have begun researching options also means it’s time to seek treatment. If you do, your tomorrow may be exactly what you want it to be. A brief disclaimer: As with any other self-diagnostic tool, questions such as these are exploratory only. You must speak to a trained and licensed professional for any true diagnosis. Still, answering these questions can be extremely useful, and insightful. Remember, if you are under the influence as you answer, you may not be the best arbiter of your responses. If, however, you can be truthful with your responses, the results of your subsequent efforts can be invaluable. One of the greatest benefits of a well-thought treatment plan is that every day will bring a new step in your treatment, and each step will lead to another. During this process, you may well learn of the stringency and urgency of structure, especially if your problem is too large for outpatient therapy, and in-patient will be your next step. The structure you learn and the discipline you will attain will help you immensely during one of the advanced stages of your formal treatment process: the sober house. Conversely, one of the more difficult aspects of the intake process is one of trust. We all know that a user does not always trust easily. If you fall into this category, we need to reinforce to you that your treatment team is there for you. They will spend the time working with you and for you. In as much as you can, speak to them openly. If you believe a given treatment as administered by a professional is disagreeable to you, you need to make that known to them. We’ve spoken about the power of commitment on these pages before. There will be an element in your treatment of letting go of any defiance and trusting others. Trust usually comes in time. As we said, intake is but a step in a larger process. Detox addresses the physical hold of an addiction. The length of a detox program will vary based on several factors, including the nature of the addiction, and of the addict’s personality. Regarding the former, chemical dependency frequently occurs that must be medically handled, as your brain has become fully dependent on further use of the substance in order to function. This is a medical issue that will frequently require medication to handle. During the early phases on detoxification, withdrawal will occur which can be a painful process. Your system will be cleaned of the drug, and your brain will learn to operate as it once did. Certain withdrawal symptoms can be life-threatening, which punctuates the importance of full and systemic treatment. The concept and practice of detox is typically broken down into three distinct phases: Evaluation, Stabilization, and Transition to Inpatient Drug Rehabilitation. Post-withdrawal, the process of your ongoing recovery can be either inpatient, or outpatient. Inpatient treatment is appropriate for more severe cases, and the generally more flexible outpatient treatment is geared towards those with a more moderate addiction (though addiction is still addiction) and a stronger support system in their home environment. Inpatient treatment can either be a PHP (a partial hospitalization providing a highly-structured environment, with typically active treatment of 30 hours per week), the less-intensive IOP (intensive outpatient treatment plan, which requires up to three hours daily over 3-5 days, for a total of nine hours weekly; therapy is usually included, but the patient can live either at their own home or a halfway house during the process), or an RTC (residential). Most inpatient therapies, regardless of option will last 5-10 days. They can last longer based on the severity of the problem, and the patient’s physical and mental fitness. Among its services, a PHP will most frequently incorporate intensive one on one therapy in its treatment program. The reason for this is most PHP admissions are due to disturbances in behavior from the drug being abused, or for those who experience otherwise increased symptomatology. In a PHP, the patient is often isolated and of no risk to other patients. PHPs and RTCs are highly-structured treatment options. PHPs are the most structured options of all. If you have little structure in your home environment, both of these invaluable choices will likely take some time getting used to. That said, the importance to your overall treatment plan cannot be understated. Note: Substance use disorder treatment is listed as one of the 10 Most Essential Health Benefits of the Affordable Care Act, meaning that your care is covered if you have health insurance. If you do not have insurance, many treatment centers offer financial aid. Always ask when you speak to a treatment advisor if this is a concern, as inpatient treatment is more expensive than outpatient. Outpatient treatment is often preferred when one has substantial duties in their outside environment, such as school or family. In fact, family and friend group therapy is often included in this option, which is quite flexible in its scheduling. Outpatient treatment has proven to be very effective for those with underlying causes for their addiction, such as eating disorders, to grasp the root of their substance-related issues in a more relaxed setting among familiar support systems. As an outpatient, you are not enmeshed in a structured environment, you live at home and you are not under constant supervision. However, outpatient treatment is no less important or helpful than inpatient treatment. Though the scheduling of your appointments may be flexible, you still need to commit to the time. If you miss one appointment, you will likely miss another. Ask yourself if you are responsible enough for an outpatient program. If you are, and you maintain your treatment, the rewards can be innumerable. Both inpatient and outpatient treatment are comprehensive approaches to wellness. You will face temptations in both but as long as you remain responsible, you will also learn specific strategies as to how to deal with them. It is up to you to take advantage of those lessons. Sober living may be the final step in your formal treatment plan before returning home, but treatment never really ends. Sober living houses provide the interim environment between rehab and mainstreaming back to your natural environment. The reason for the initial formation of sober houses was simple: a person in recovery frequently needed a safe and supportive place to stay, during the vulnerability of early recovery, prior to returning home. Many of the above rules are enforced with a Zero Tolerance Policy. Meaning, if any of these rules are broken even once, you risk being kicked out of your sober living home. If you had experienced structure during your prior treatment to this point, you should be in good shape.